The United States signed an agreement to provide Rs 8.5 billion to the Water and Power Development Authority (WAPDA) for the construction of Kurram Tangi Dam Project, Stage-I in North Waziristan Agency, FATA. 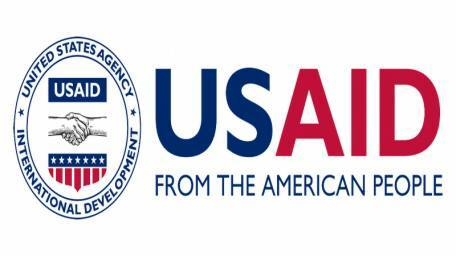 The United States Agency for International Development (USAID) and WAPDA signed the agreement at a ceremony on Wednesday. The Minister for Water and Power, Khawaja Muhammad Asif was the chief guest at the ceremony. American Ambassador to Pakistan, David Hale and Chairman WAPDA Lt Gen Muzammil Hussain attended the ceremony. Addressing the ceremony, the minister said USAID grant of $ 81 million for Kurram Tangi Dam Project Stage-I is another milestone in US civilian-assistance program. He said the project will go a long way in bringing about socio-economic development to the far-flung areas of North Waziristan Agency and Khyber Pakhtunkhwa. Referring to the increasing need of water and electricity in the country, he said that the present government has taken up the challenge of harnessing water and hydropower resources in an upfront manner. Speaking on the occasion, WAPDA Chairman Lt Gen (r) Muzzamil Hussain thanked the US government and the USAID for supporting Pakistan and WAPDA for sustainable development of water and hydropower sectors. He said Kurram Tangi Dam Project will be constructed in two stages with gross water storage capacity of 1.2 MAF and electricity generation capacity of 83.4 MW. He further said that construction work on Stage-II of the project will also be started soon. It is pertinent to mention that the Kaitu Weir is Stage I of the larger Kurram Tangi Dam Project. By completing the construction of the project’s stage-I, more than 16,000 acres of agricultural land will be irrigated and an additional 18 MW of electricity will be produced, enough to benefit 100,000 Pakistanis. Under Kurram Tangi Dam Project Stage-I, funds will be transferred to WAPDA to support the construction of a weir on Kaitu River, the Shertalla and Spairaga canals, two powerhouses, a transmission line, housing accommodations for construction and operational staff, and an office building for dam construction and operation activities. Since 2009, the US has invested more than Rs 53.1 billion to develop Pakistan’s power sector, benefitting more than 28 million Pakistanis and adding more than 2,400 MW of electricity to the national grid. This total includes 1,013 MW from new or rehabilitated dams and thermal power plants, and 1,447 MW from improvements in the transmission and distribution system.